This is a story of one man’s dedication. It is a testament to determination and the human spirit. It is also, as one woman is quoted in the article, a tale of a creep-crapper and revenge poop. 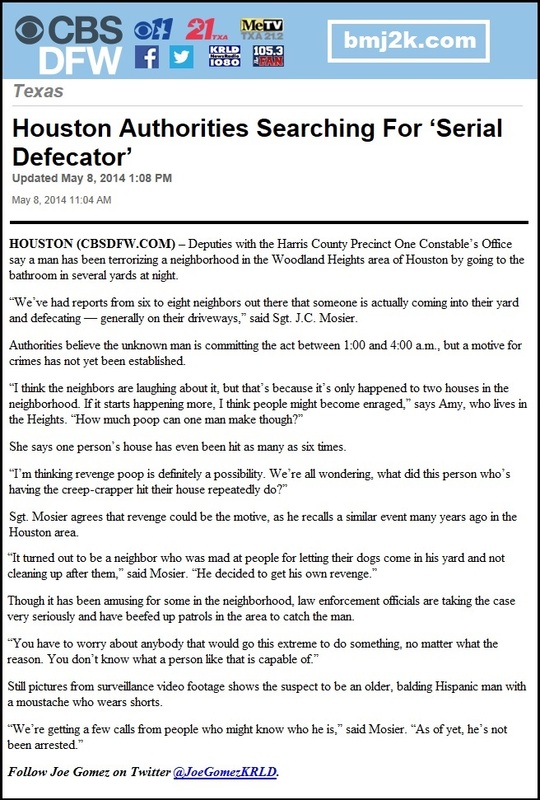 Harris County has an interesting definition of “terrorizing.” If only Al-Qaeda had stuck to pooping on lawns, this world would be a very different place. This should be a slam dunk for the police. This guy is leaving tons of DNA evidence at the scene of every crime. 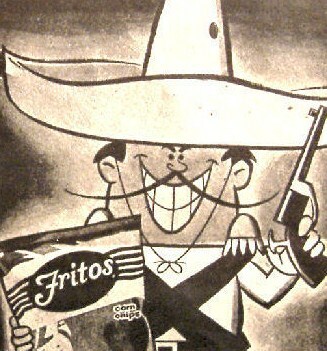 Meanwhile, based on the description of an older, balding Mexican with a mustache, I think the police should haul the Frito Bandito in for questioning ASAP. After all, if he’s eating all those Fritos, I’m not surprised he’s been pooping on driveways. Heck, he’s probably pooping all over town with all those salty corn chips in his system. Maybe he’s a performance artist?